Liam Sercome and Gavin Reilly on target as Rovers capture three points on the road with an impressive display at Roots Hall. Liam Sercombe grabbed the opening goal to capitalise on a strong showing in the first 20 minutes – as the midfielder kept his cool to glance the ball home after Tom Nichols had taken the ball around Nathan Bishop in the Southend goal to set the midfielder a clear sight on the Southend goal. 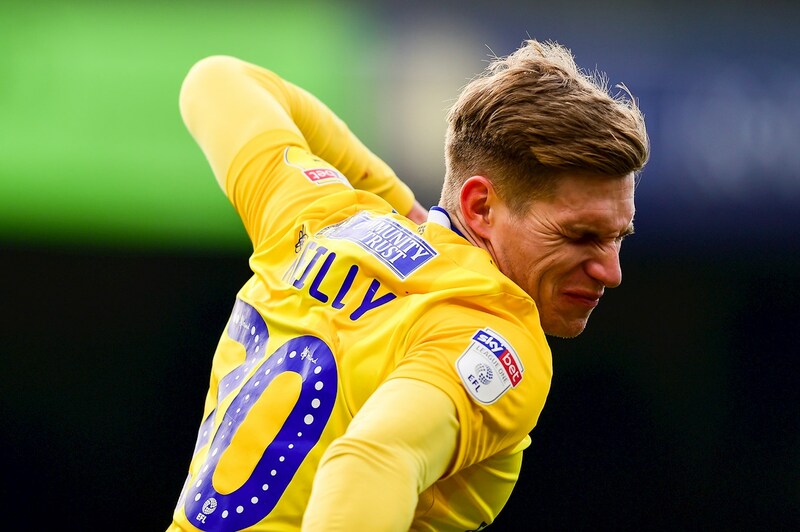 Nichols was again the provider for the second – this time for Gavin Reilly, as an inch-perfect pass between from the Rovers number 10 sliced through the Southend backline, with Reilly showing a great amount of composure to break closer to goal and stroke the ball underneath the advancing Bishop. Rovers looked good value for a two-goal cushion at the interval, but the hosts pulled a goal back as Dru Yearwood’s long-range shot bounced awkwardly in front of Jack Bonham, with Simon Cox on hand to force home the rebound from point-blank range. The win stretches Rovers’ unbeaten sequence on the road to five in all competitions – ahead of an important fixture against Shrewsbury Town at the Mem in seven days time. In naming his starting XI for the fixture, Manager Graham Coughlan opted to make just the single change from the promising display four days prior at the Mem against Peterborough United. The switch saw Abu Ogogo drafted in for his Rovers debut, as the midfielder replaced Chris Lines in the starting eleven. Fellow deadline-day addition, Jonson Clarke-Harris, started the game on the bench, as Gavin Reilly and Tom Nichols continued their partnership at the forefront of the Rovers attack. Rovers enjoyed a bright start to the contest and forged out the first opportunity of the game. Quick movement from Tom Nichols saw the striker cut inside the Southend box and carve out a low ball that picked out the run of Gavin Reilly. The forward took a touch to kill the pace on the ball and saw his poked effort blocked. The rebound fell to Sercombe, who also saw his follow up effort blocked. Coughlan’s side enjoyed the majority of the ball in the early stages and demonstrated a showing of patient build-up play. Ollie Clarke seized the opportunity to test Bishop from range, as the midfielder’s effort forced the Southend goalkeeper to push the ball into the reaches of Gavin Reilly, who escaped the offside flag and stayed onside, only for his rebounded effort to be tipped away from Bishop. Rovers continued to take the game to the hosts and kept stringing together opportunities. On a break, Ollie Clarke drove forward and was able to slide a pass through to Liam Sercombe. The midfielder shifted the ball to his right-foot and look to play the ball back across goal, but his delivery was cleared behind for a corner. With the flurry of chances, Rovers deservedly took the lead on the 20-minute mark. The move was started by tireless chasing down from Tom Nichols, as the striker darted to a loose ball and was able to get there ahead of the advancing Bishop. The striker took a touch to knock the ball past Bishop and lay off a pass to Liam Sercombe, who coolly stroked the ball into the net. As half-time approached, the away side looked good value for the comfortable lead that the goals from Sercombe and Reilly had assembled. It took a stroke of fortune for the hosts to seize a way back into the encounter. That formulated when a long-range attempt from Yearwood took a bounce in front of Jack Bonham, who couldn’t hold the shot, with Simox Cox touched the rebound home from close-range. In stoppage time, Cox again worked himself free inside the Roves area, flashing a fierce volley across the face of goal and wide for a goal-kick. The early stages of the second half saw Rovers glance the Southend crossbar, as new man Ogogo forged a pass through to Gavin Reilly, who witnessed his powerfully struck shot bounce clean back off the frame of the goal, with Tom Nichols lifting a first-time rebound over the target. On the hour mark, deadline day addition Clarke-Harris was introduced, with Gavin Reilly the man to make way. The striker was involved instantly and almost muscled his way to meet a clever set-piece into the mix from Tareiq Holmes-Dennis. The home side thought that they had levelled the game with twenty minutes to go, in similar circumstances to the first goal Rovers conceded. This time it was a strong hand from Bonham that turned away a powerfully struck effort from McLaughlin, where the rebound say kindly again for Simon Cox, who was greeted by the linesman’s flag shortly after his tap-in had rippled the net. As the game entered the final ten minutes, debutant Clarke-Harris crafted a shooting opportunity, as the striker worked Bishop with a controlled effort from the edge of the area. 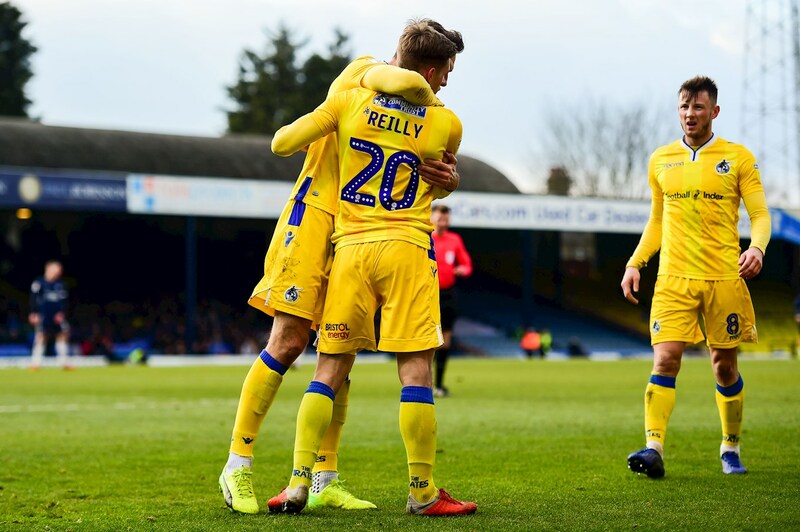 Rovers showed good game management in the closing stages and limited both Southend’s time on the ball and ventures into the final third to hold onto the three points and climb out of the bottom four in the league table. Rovers XI: Jack Bonham (GK), Joe Partington, Tom Lockyer (c), Tony Craig, Tareiq Holmes-Dennis, Ollie Clarke, Abu Ogogo, Liam Sercombe (90+1 James Clarke), Alex Rodman, Gavin Reilly (59′ Jonson Clarke-Harris), Tom Nichols (74′ Alex Jakubiak). Subs: Adam Smith (GK), Gabriel Osho, Ed Upson, Chris Lines. Southend United: Nathan Bishop, Elvis Bwomono, Taylor Moore, Michael Turner (45′ Michael Turner), John White, Sam Hart (81′ Charlie Kelman), Dru Yearwood, Sam Mantom (C), Timothee Dieng (45′ Stephen McLaughlin), Stephen Humprhys, Simon Cox. Subs: Ted Smith, Norman Wabo, Issac Hutchinson.